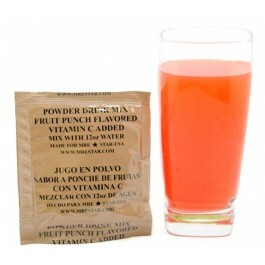 MRE Star drink mix Fruit Punch packs a punch of flavor. Manufactured under the strictest quality control standards, it is a top quality product. Each pouch is perfect amount for 12 oz of water. This amazing drink has a 10 year shelf life. 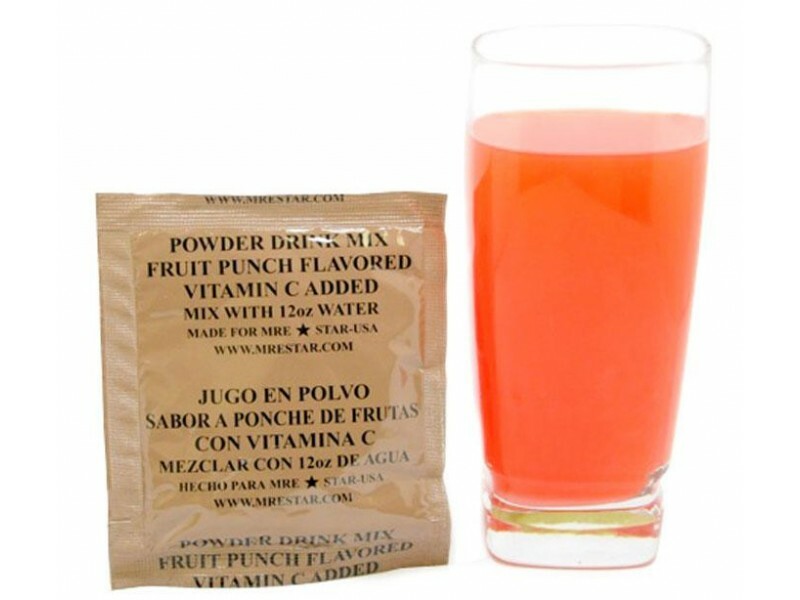 MRE Star drink mix Fruit Punch is also water proof. It is approved by the USDA, FSIS and the FDA. It is fully manufactured in the USA. Whether you are looking for a drink to accompany a meal or a drink after a hot day this is the right one for you.